I discovered Ann Patchett’s work when Commonwealth hit the shelves in 2016. With a striking, simple cover, and a title that nodded to my segment of the universe (we are the Commonwealth of Kentucky, after all), I didn’t even read the description inside the cover, but just plopped the book on the counter at Carmicael’s and took it home. Ms. Patchett has a way of writing that allows for an easy read. While her books may go on for several hundred pages and span decades of storytelling, I usually find myself sitting down one afternoon for a brief respite and standing up a few hours later after devouring an entire title, cover to cover. I’ve gotten through Commonwealth, of course, as well as State of Wonder and This is the Story of a Happy Marriage (a collection of her memoirs, read while lounging poolside in Vegas, last summer. That was nice. 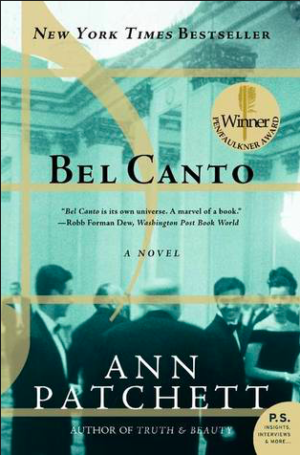 ), but I’d never stumbled upon a copy of Bel Canto until a few weeks ago, and- after having a friend mention that I should have started reading her works with this one- decided it was time. I had no idea of the story of Bel Canto, other than it had something to do with opera. Opening at a lavish birthday party thrown in the home of a South American Vice President, the room goes black as a well-known sorprano performs for the Japanese-speaking birthday boy and his audience. Political rebels take the guests hostage as Patchett acts as an omnipotent storyteller, guiding us through a months-long hostage situation in which loves unfold, negotiations are made, and sympathies are gained, all via a multi-lingual translator who finds himself at the center of every conversation. I was about a third of the way through the book when I began to wonder if and when the kidnapping would come to an end… It does, just before the epilogue, in a quick, brutal, and heart-wrenching- though expected- way. We see, through the eyes of this ever-present storyteller, that this is a violent situation in which no emotions are spared and, sadly, neither are the lives of the good guys. If Patchett had ended her story just 4 pages sooner, or if she had concluded with simply a vacationing weekend instead of a wedding, my heart and head wouldn’t have hurt quite as badly. Two of our favorites- in love with others while trapped in the Vice President’s mansion- tie the knot in a simple ceremony. Yet, these characters had very little to do with each other throughout the majority of the novel, save for translated conversation to others. I suppose, if I set my upset aside, that we can find a narrative of finding love in unexpected places, or- more likely- that there is a comfort found in those who you survive with that leads to romantic happiness. Still, I wish we had ended in a different way. 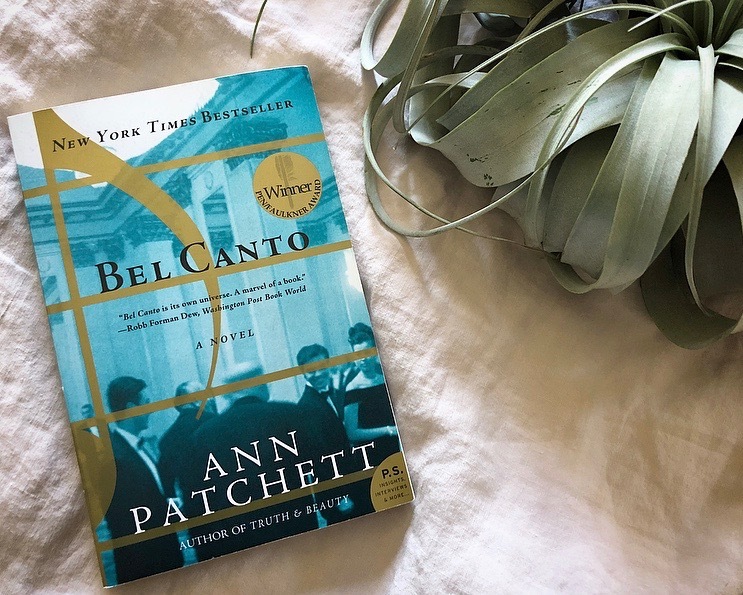 Winner of the Pen/Faulkner Award, it’s still easy to see why Bel Canto is deserving, even with the epilogue (that garnered a bit of heat on Goodreads’ reviews). Throughout the 300-sme pages, I was just as on edge as our captives were, wondering when one of the Generals may have a bad moment and pull a trigger, or when one of our smitten hostages would be caught fighting for a few moments of normalcy or of love. Easily read, beautifully written, and can be found locally at Carmichael’s Bookstore. Have you read Truth & Beauty. That is my favorite. I haven’t, at least, not yet. I am headed book-hunting tomorrow though 🙂 If I see it, I’ll pick it up. Thanks!